International Women’s Day (IWD) is an annual celebration held on March 8th. IWD serves as the central point in the journey for women’s rights. It has a glorious history that dates back to February 28, 1909, when the Socialist Party of America organized the first ever Women’s Day in New York. At the International Socialist Women’s Conference in 1910, it was decided to make Women’s Day an annual affair. Since then, more than 150 countries have joined in the celebration every year. The event is celebrated through gatherings that highlight the contribution of women over the years that have helped make our society better. 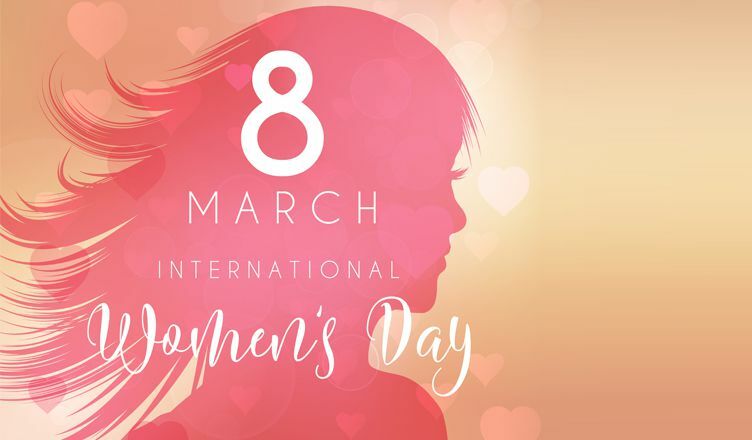 Many organizations make use of IWD to impress their female customers and employees and we recommend that you follow in that direction as well. Whether it’s an office or store, IWD can do a great job of providing your brand with quality goodwill. 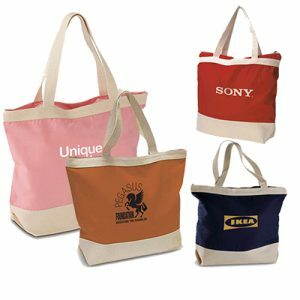 This zippered tote is attractive, durable and available in several appealing colors – count on it to impress women in no time! Made of canvas material, this product is spacious and has several pockets to store your recipients’ belongings. This tumbler is a marketing superstar! It is double-walled to keep beverages at the right temperature. It features a snap closure and users can twist or flip open to quench their thirst. Recipients will gladly carry this product to office or use it at their homes. This set is part of our Free 24 Hour Rush Service – order today and we’ll ship the next day! It’s ideal for those looking to launch a marketing campaign at short notice. 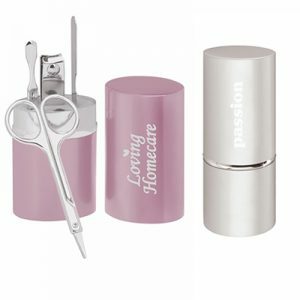 This set comes in an aluminum tube and features a cuticle shaper, a file and nail clippers. 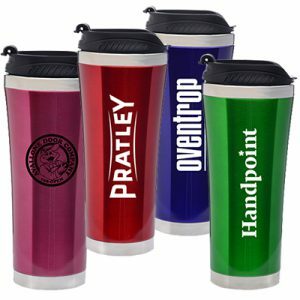 Your logo will be laser engraved for maximum visual impact. 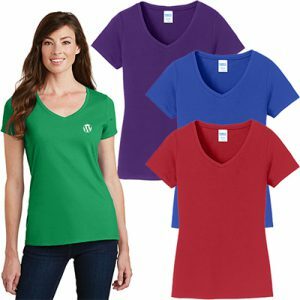 Made of 100% ring spun cotton, this product is a hit with women. It offers a comfortable ladies fit and features a removable tag for extra comfort or relabeling. Count on it to give your branding efforts a big boost! Here is another product from our FREE 24 Hour Service category. 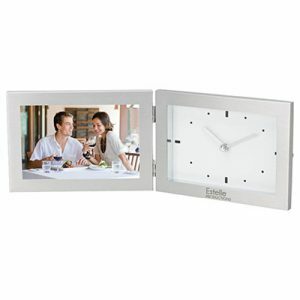 This 6″ x 4″ photo frame has an aluminum finish which features an analog clock and felt backing. Recipients will love the look and feel that this product offers. They’ll gladly add a cherished photo and make it a permanent fixture on their desks. Imagine the invaluable visibility your brand gains on a daily basis through this product! This product will boost the style quotient by several notches! 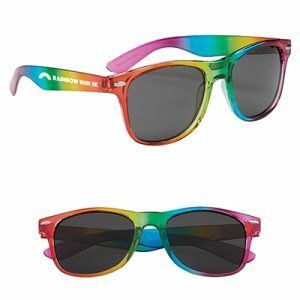 Made of polycarbonate material, the Rainbow Malibu Sunglasses come with UV400 lenses that provide 100% UVA and UVB protection; it is the perfect companion outdoors. Your brand will shine when recipients wear this product around town! This canister is packed with unlimited freshness! It has 8 ounces of plain M&M’s colorful candy-coated chocolates. 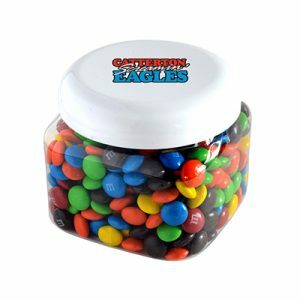 A highlight of this product is its utility value; the jar can be put to use to store other useful things at home or the office, giving your brand extended visibility! We recommend that you plan well for International Women’s Day. Get in touch with us and we’ll provide marketing tips that will help your brand reach greater heights!